3. Now, get a USB cable and connect your iPhone X/8/7/7Plus/6/6Plus/5/5S/SE etc and Mac. 4. It will take a moment before Mac recognizes the device. 5. Now, go to "File Manager" and click on "Photos". 6. In the "Photos" you will find all of your photo collection from your iPhone, preview and select the ones you want. 7. Finally click on the "Export" button to send them. 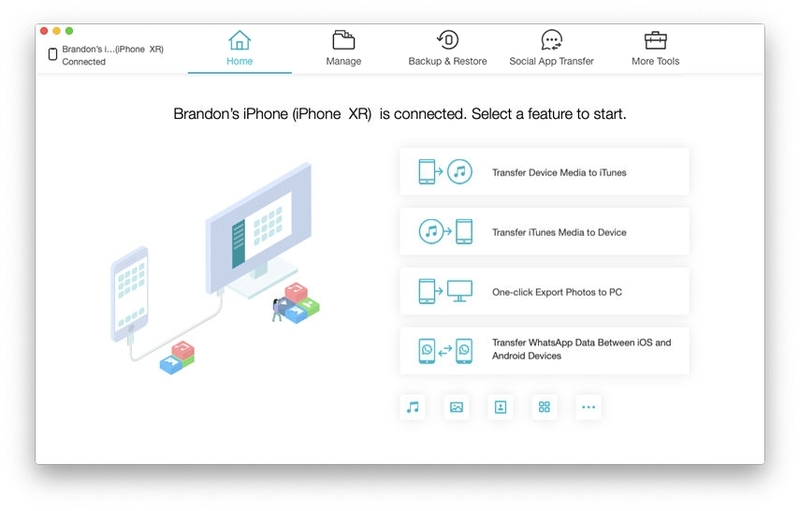 It is very easy to manage Tenorshare iCareFone, and this is how to upload pictures from iPhone to Mac using this software. The performance of the app is far superior to other apps available at this moment. The app is fast, secure and simple. Its data transfer function works in both ways and it can fix your iOS from Recovery mode, Black screen etc as well. It is an all in one app that provides major support across platforms. 2. Turn on Airdrop on iPhone and tap "Everyone" in settings. 3. Open the Finder on Mac and again tap on Airdrop. Similarly, hit "Everyone". AirDrop is a very efficient wireless app. 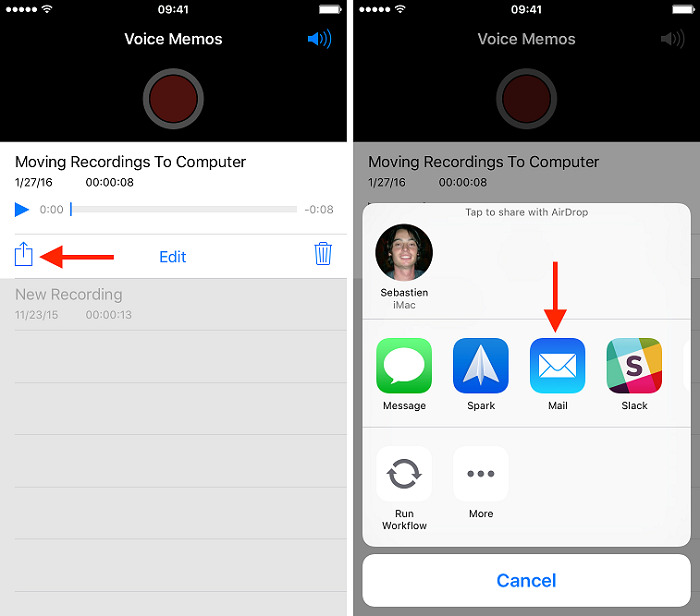 You only need to activate your Wi-Fi and set up Airdrop before starting the transfer. Also be sure to keep both of the devices in a close proximity. 1. Just go to Settings and connect the iPhone to the Wi-Fi network. 2. Then tap on your name visible on the top and then tap on "iCloud"
3. Now, go to "Photos" and swipe the toggle switch for "iCloud Photo Library" to activate it. 1. Connect your Mac to the Wi-Fi network. 2. Then run the Photos App and click on the "Photos" option on the top. 3. Next, go to "System Preferences" and look for "iCloud" Tab. Immediately after you activate the iCloud Photo Library on both your devices it will take a few hours to sync all of your photos. You can check the progress bar on the iCloud panel and the photos by opening the Photos app. Keep in mind, iCloud will use the allocated 5GB free storage space provided by them, if you need bigger space then you must pay for it. 1. Open camera roll and select the photos you want to send. 2. Tap on the Share button. A list will be opened, select the "Mail" option from the list. Overall, this is an exceptionally straightforward and safe medium of data transfer. Unfortunately you can only transfer small bytes of data, nothing more and extravagant. Not suitable for bulk transfers at all! 3. Now, click on the "Accounts" tab. 4. Then you will be asked for your Apple ID, provide it. 5. After you have logged-in you can activate "Enable this account" option. 6. Select the photos from Camera Roll and tap the share icon to send to Messages app. Enter the Apple account to receive it on your Mac. Frankly speaking, transferring photos from iDevice to iDevice is not as difficult if you choose your tools carefully and know how to use them. All of the apps we mentioned above works extremely well and efficiently. But if you do not know the right way to use them you will be faced with a lot of difficulties and thus this detailed guide can help you in every step of your way. These are the most comprehensive and effective methods on how to upload photos from iPhone to Macbook. In case, you want to know the best out of these all methods, simply go for the highly recommended Tenorshare iCareFone. Stellar software! If you like this detailed guide, do comment and share! !